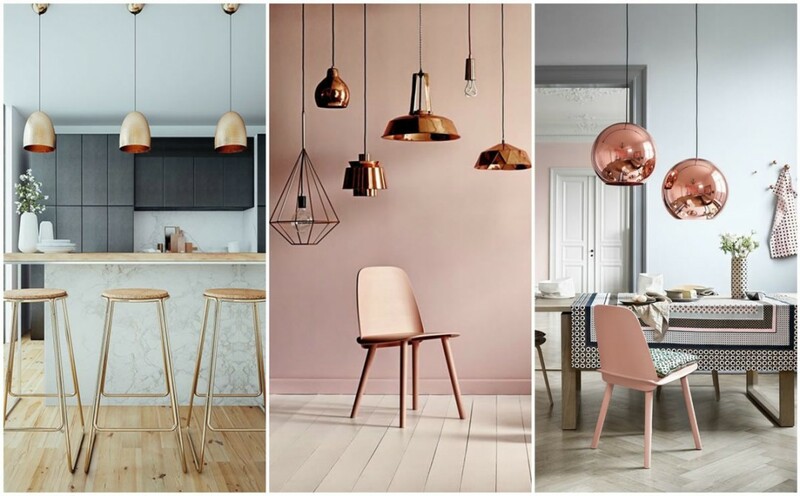 With Dulux announcing Copper Blush as their colour of the year in 2015, there are numerous ways to adds metallic accents to the home which add warmth and a touch of luxury. 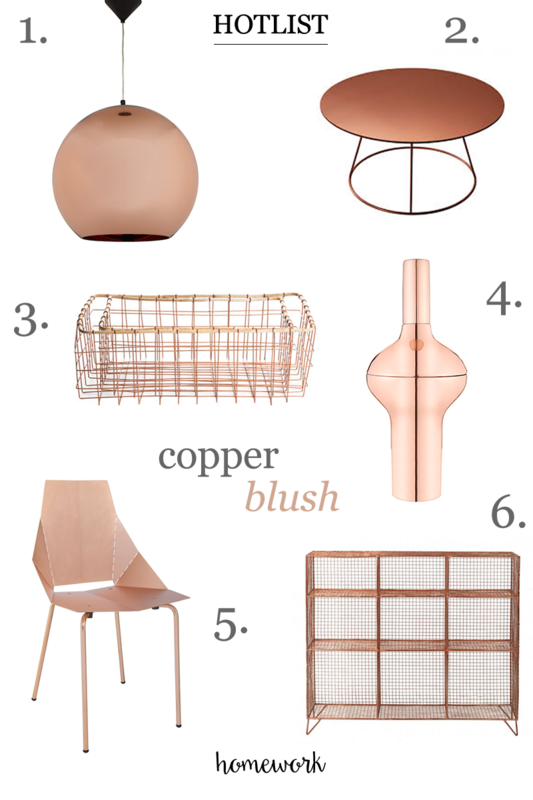 Whether it’s impactful lighting from Tom Dixon or the beautiful craftsmanship of the Real Good chair from Heal’s, our love of copper sees no signs of abating. When it comes to paint, Copper Blush is a perfect take on the metallic trend, but adopting a chalkier, cooler finish than the metallic family. The colour really comes alive when combined with pink, clay toned neutrals, crisp white as well as beautiful Carrara marble (see separate post here) and shimmering metallics.